DUBOIS – This holiday season, students in the Human Development and Family Studies (HDFS) Club at Penn State DuBois continued their tradition of helping local individuals in need. Club members purchased items and assembled holiday care packages. They delivered those packages to area shelters that serve people who have been displaced from their homes, or who are victims of domestic violence. Items in the packages included nonperishable food, personal hygiene products such as soap, shampoo and toothpaste, paper products, cleaning supplies, blankets and more. 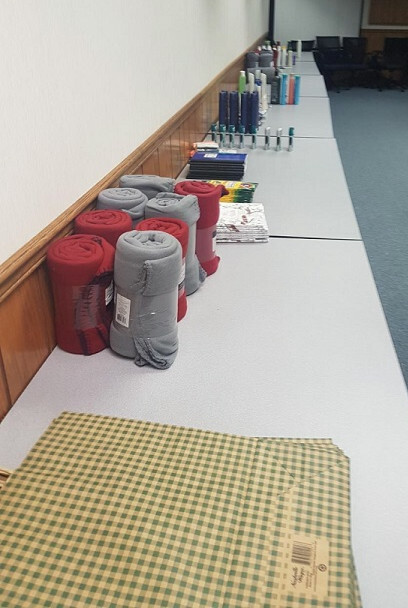 They were given to residents at Crossroads in Punxsutawney, a domestic abuse shelter; Haven House in DuBois, a temporary housing facility for people who have been displaced; and the Pentz Run adolescent housing facility in DuBois. Students who are in the HDFS Club and enrolled in the HDFS program are studying to enter careers in social work, as counselors for addiction treatment, and in behavioral health and probation. In their careers, they likely will be involved with organizations and their clients such as the ones they have touched through this project. Faculty members say that in this way, the project also enhances the students’ education. How did Lucy, our early human ancestor, die 3 million years ago?